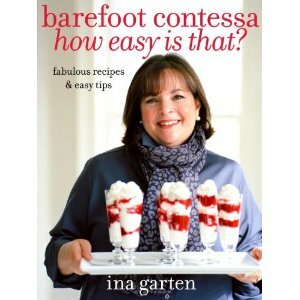 As I mentioned previously, Barefoot Contessa (Ina Garten) has a new cookbook coming out titled, “How easy is that?” on October 26th. I’ve linked to Amazon for the book but only because it was where I borrowed the images from. 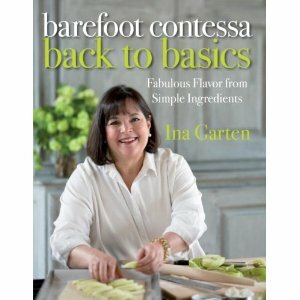 When I read about her new book I suddenly realized that I had started out cooking out of her last cookbook, “Back to Basics” with great enthusiasm and then I got busy or something. I hate making excuses, not very good at it. In any event, I decided that between now and the 26th, I would start preparing a few recipes each week from book #6 (BtB). Last evening I prepared Mustard-Roasted Fish. I’ve posted the recipe below (courtesy of foodTV website). The only modifications I made was to use Trader Joe’s frozen tilapia (they didn’t have red snapper) and it was delicious. The sauce is mild but flavorful and, the best part, this recipe is super easy. I made her Roasted-Broccoli Parmesan which was also very easy and tasty. You can find the recipe HERE. Combine the crème fraiche, 2 mustards, shallots, capers, 1 teaspoon salt, and 1/2 teaspoon pepper in a small bowl. Spoon the sauce evenly over the fish fillets, making sure the fish is completely covered. Bake for 10 to 15 minutes, depending on the thickness of the fish, until it’s barely done. (The fish will flake easily at the thickest part when it’s done.) Be sure not to overcook it! Serve hot or at room temperature with the sauce from the pan spooned over the top. I can hardly wait for her new book. It will be fun to have some new “easy” recipes. This fish was super easy. Thank you for dropping by, I love your visits.